Columbus-based microtransit company, SHARE, launches a six-month senior transportation circulator with the City of Dublin. Microtransit company, SHARE, has launched a six-month senior transportation circulator with the City of Dublin. 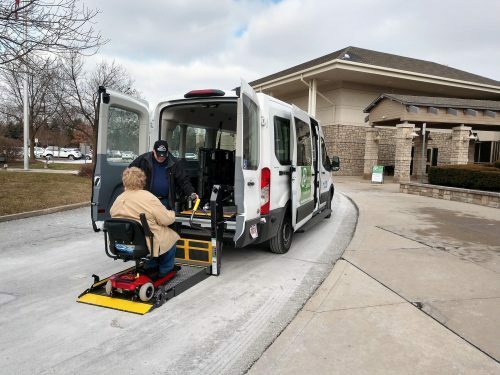 Beginning on January 2, 2019, SHARE will provide microtransit services for the community’s senior and disabled residents, establishing scheduled transportation routes that will pick seniors up from their living communities and take them to popular destinations within the Dublin community. An important goal of this program is to provide community access and opportunities for meaningful social interaction for Dublin seniors, which promotes overall positive mental health and well-being. All SHARE vehicles dedicated for the pilot program are wheelchair accessible — and additional vehicles will be provided based on demand. In addition to providing transportation three days a week throughout the pilot, SHARE will work with senior living facilities to roll out dynamic scheduling for their residents, to expand their list of options for group outings. SHARE’s proprietary software enables dynamic routing when scheduled 24 hours in advance. While on the shuttle, other riders may be picked up to offer last mile COTA connection to key Dublin destinations. The City of Dublin has a high concentration of senior communities, currently holding 11 with plans to add additional facilities. By 2021, the city will have more than 6,100 residents over the age of 65. Recently, the city conducted a mobility survey which revealed the number one topic of concern for residents was to expand multimodal options, specifically prioritizing improving non-driving mobility for residents. Dublin is a city of more than 47,000 residents located just northwest of Columbus, Ohio. It offers residents and corporate citizens responsive services, attractive housing, superior public education, direct regional highway access, abundant park space, thoughtful and strategic planning, innovative ideas and technology and a dynamic community life. Dublin is consistently ranked one of the safest cities in the nation and in 2015 was named one of America’s Top 20 Creative Class Cities. It is home to more than 20 corporate headquarters, an entrepreneurial center, 4,300+ businesses, world-class events and the urban, walkable Bridge Street District. For more information, visit DublinOhioUSA.gov or call 614.410.4400. SHARE is a microtransit service created for the trips you take the most. 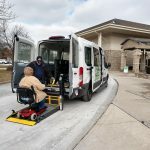 We partner with employers, schools, senior living, municipalities, and healthcare facilities to provide unique transportation solutions backed by proprietary technology and connected data. At SHARE, we believe access to transportation means access to opportunities. We are creating the blueprint for transportation in Smart Cities. SHARE is now operating transportation services in Columbus, Ohio. SHARE services are available through participating employers, schools, municipalities, and senior living communities.